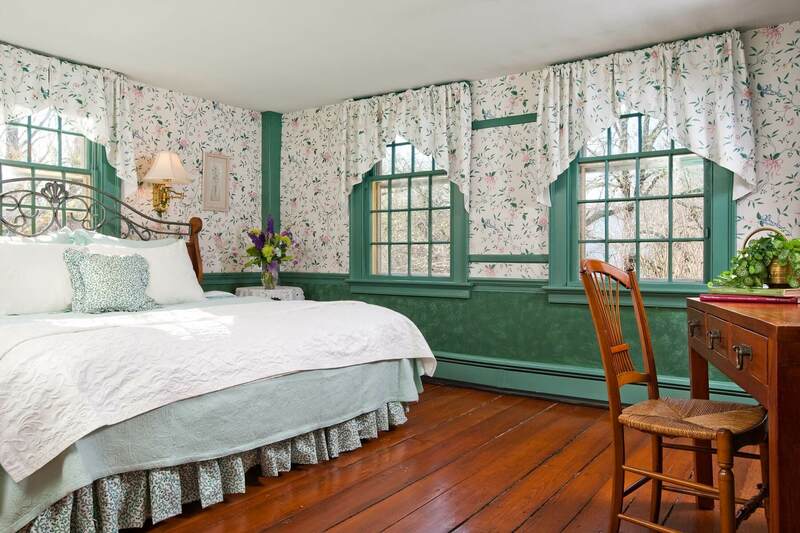 Southerly facing windows make this spacious second-floor room sunny, warm, and cheerful. The large windows provide views of our expansive front lawn with its historic and charming stone walls. You might even catch a glimpse of a rabbit or deer passing through. 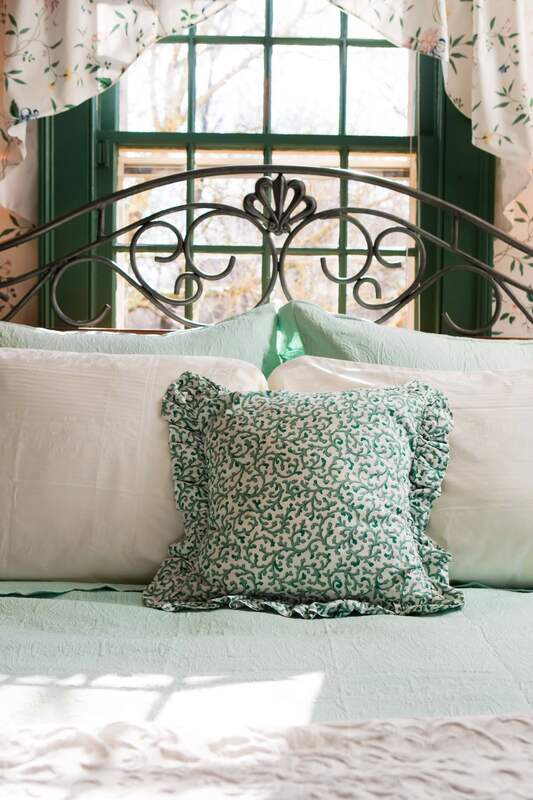 Whether you are celebrating an anniversary, birthday or other special occasions, enjoy the soothing green and floral décor that accents this romantically serene room. The inviting large king bed invites you to relax and unwind any time of year. Sit in a comfy wing-backed chair as you feel cool breezes of summer. 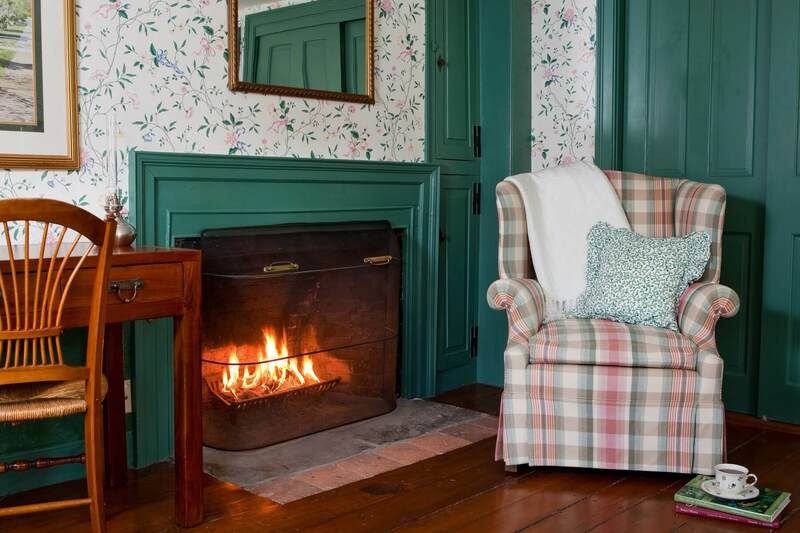 Come winter, gaze at the crackling fire in the wood burning fireplace (Oct. 1 – April 30) as you cuddle up with a good book. Features include a large private bath with tub and separate shower, small writing desk, and free Wi-Fi. Additionally, for your comfort and convenience, the room is equipped with bathrobes, select bath amenities, hairdryer, and AC in the warmer months.